It’s peak Baltimore summer and coolers are a great way to enjoy a refreshing beverage at any time of day. 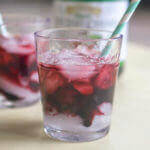 Today’s tart cherry ginger cooler recipe features fresh ginger, ginger ale, and R.W. Knudsen Organic Just Tart Cherry® Juice which has been reduced into a delicious tart cherry syrup. I served a similar version of this cooler at our housewarming party – you know, the one where I made nachos for 50 people – a couple of months ago, and it was flying off of the proverbial shelves. So it was the perfect thing to recreate in partnership with Target and R.W. Knudsen Family® Single Fruit Juices. All of the juices in this line, including the Tart Cherry and Cranberry varieties featured here today, are non-GMO, organic, unsweetened, and made from just the single fruit. This is the only juice I like to buy -when I want tart cherry, I want actual tart cherry! 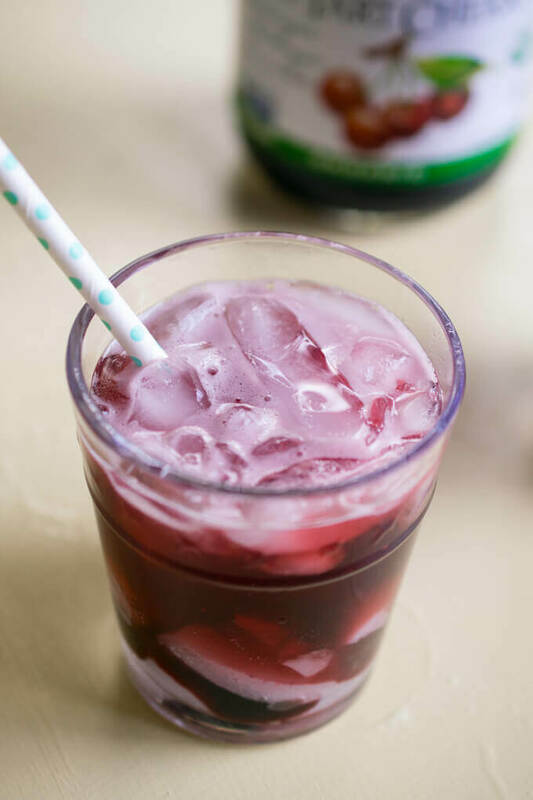 To make this tart cherry ginger cooler, you only need a few simple ingredients. Ginger ale forms the base. 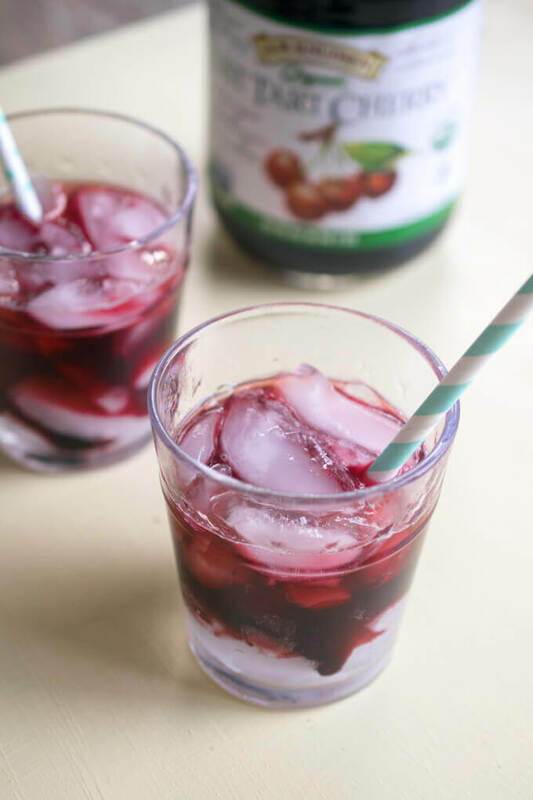 Tart cherry juice is infused with fresh ginger and reduced until thickened, and the syrup is drizzled into the drink. (This is a concept I’ve been in love with since substituting tart cherry for pomegranate once in my pomegranate Brussels sprouts recipe). Target is currently running a Cartwheel promotion for 25% off R.W. 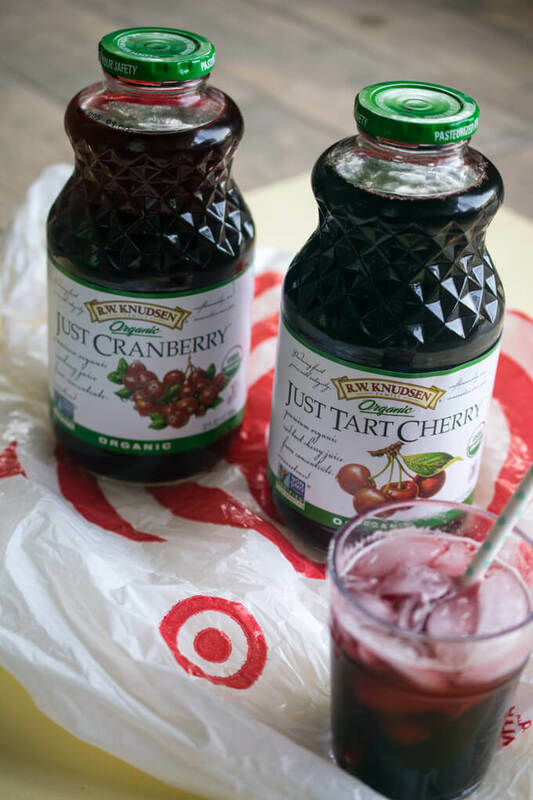 Knudsen Family® Single Fruit Juices at Target. You can find the details here. Find Target and R.W. Knudsen on social media at @RWknudsen and @target (Facebook); @RWKnudsen and @target (Twitter), and @target (Instagram). 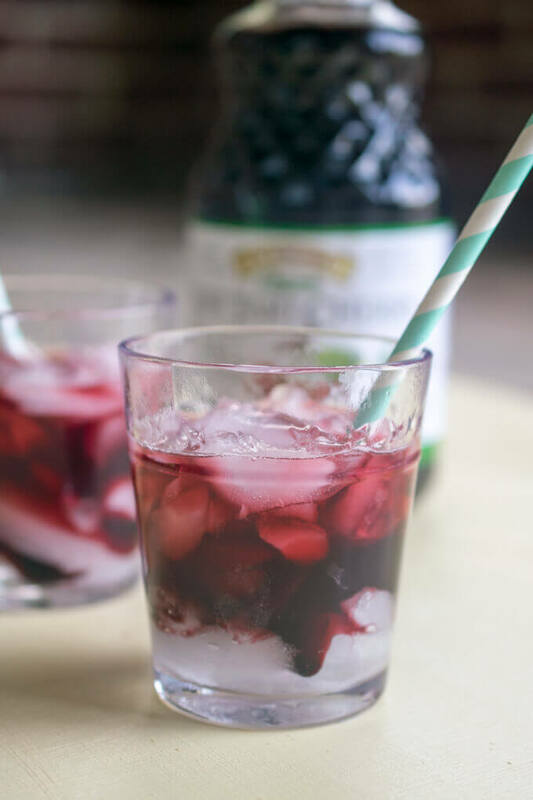 A refreshing summer drink that adds a little bit of flair to ginger ale with fresh ginger infused tart cherry reduction. Stir together the tart cherry juice and ginger in a saucepan (nonstick will work best), and cook over medium heat until combined. Reduce to medium-low, and simmer uncovered. You want the heat to be just high enough that the simmer is nice and steady. Cook for 20-30 minutes (depending on temperature and surface area), or until the mixture is thickened and reduced by more than half. As it gets thicker, check it more frequently, to avoid burning. Remove the mixture from the heat and take out the ginger slice. The reduction will thicken more as it cools. To each glass, add some ice, about 1/2 cup cold ginger ale, and about 2 tablespoons to taste of the tart cherry reduction. Enjoy cold. How much maple syrup? It is not listed in the ingredients but is in the first step of the instructions. Thanks for catching that Julie, my original version of the recipe used maple syrup but later I found I prefer it with no added sweetener.